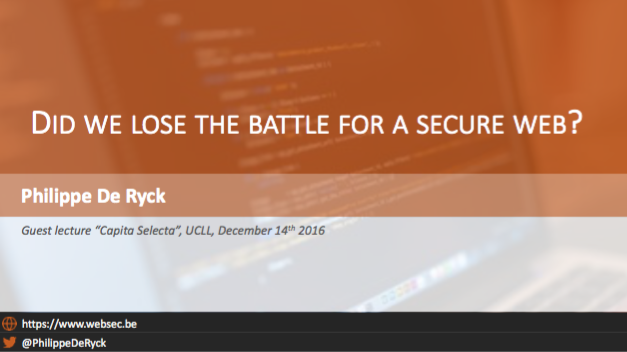 Are we losing the battle for a secure web? The information on this site is available for history purposes, but is no longer maintained. Start blog Are we losing the battle for a secure web? The slides from my guest lecture about web security at UCLL in LEuven. It covers the security landscape in general, and goes into depth into HTTP Strict Transport Security, one of the recent browser-based security policies.